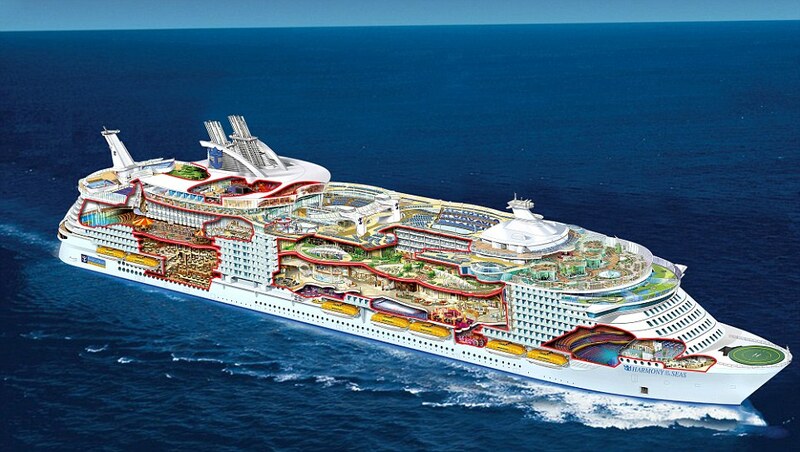 The title for the largest cruise ship in the world has been claimed by Royal Caribbean. The engineering masterpiece called Harmony of the Seas features a 10-story waterslide and stretches 1,188 feet long and weighs 226,963 tons. This is longer and larger than most aircraft carriers. Throughout its entire construction, the ship was kept a secret.